Think about how you get your news every morning. Is it through a newspaper, online feed or a single website like the Huffington Post or Fox News? Maybe you flip on the TV and watch the news for a little bit. Now consider how so many people are switching their news consumption habits to the internet. It’s clear that magazines and newspapers are struggling, so how can you take advantage of this as a small business? Well, it turns out one of the best ways to have fresh content on your website is to include a news feed. This way, you can either pair this with your own blog or simply have an individual news feed with interesting articles about your industry. The same goes for a mobile app. Users aren’t going to keep opening your app if they have no reason to. Therefore, it’s essential to develop a content plan for them to think about opening the app and discovering new information. Some companies have a consistent flow of coupons, while others are sharing blog posts through an app. If you’re interested in a more passive form of content distribution, a personalized news section might be the solution. 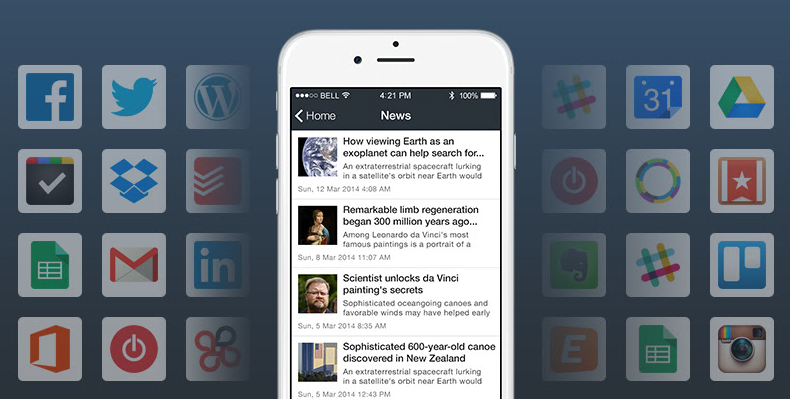 With iBuildApp you can now generate a beautiful news module that updates each day. It all goes through Zapier, which is an automated feed platform for pulling information from places like Facebook, Twitter, LinkedIn and WordPress. If this sounds like a cool idea for your business app, keep reading to learn how to set it up. Go to the Zapier homepage and login to your account if you already have one created. If you’re new to Zapier, click on the Create Account button to get the ball rolling. This walks you through some steps on creating a username and password, and you may have to fill in some other personal information as well. Once your account is generated, you can move onto the next step. The link that we gave you before leads you to the RSS Zap page. This is the first step you’ll have to take when it comes to generating a simple news feed. It will eventually be connected to a source where the news comes from. All you have to do is activate the RSS Zap in your Zapier account. This is where the news you want to display comes from. For example, if you have a Facebook page that constantly shares news about your industry, that might be a good choice. Other options include Google Drive, LinkedIn, Slack, or a simple RSS feed from somewhere online. You’ll have to select these one by one, but your best bet is to find one reliable news source and stick to it. Zapier walks you through the steps you need to take to create this Zap, and it will also ask you to connect the source to your original RSS. For example, the Facebook option is going to request a URL from the Facebook page you want to pull from. Zapier includes an area to walk through all of the settings for each Zap. Go through the steps in order to make sure it works properly. You can then test out the Zap to see if it’s working. Since you don’t currently have the Zap installed on your mobile phone it won’t reveal anything on that app. However, Zapier tells you if the feed is going through and working properly. After that, you can move onto the next step. The Zapier Edit page contains an RSS feed link that must be copied over to iBuildApp. Copy this URL and go to iBuildApp. While inside your iBuildApp dashboard, go to the Edit tab inside of the app of your choice. 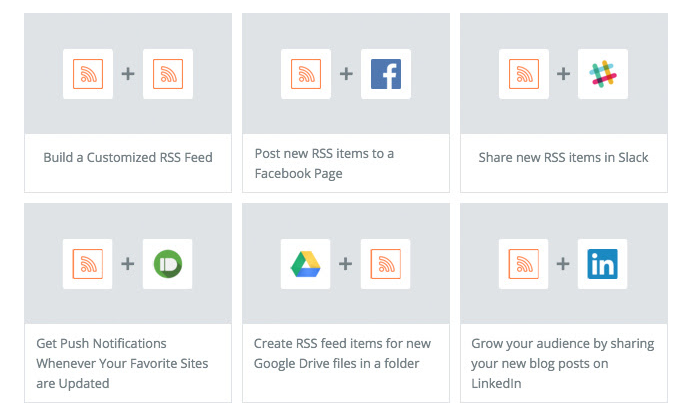 Choose the Zapier RSS feature to include inside your app. This reveals a field for you to paste that Zap RSS URL into iBuildApp. Go ahead and complete the process to see an example of what your feed will look like in the preview area. Now all you have to do is publish your app! If you have any questions about how to create a business app with personalized news, feel free to let us know in the comments section below.